ICC Brazil is pleased to announce their seminar session taking place in scheduled for the 2016 ILDEX Vietnam edition next March in HCM city. The Brazilian company specialized in yeast additives development since 1992 will be represented by its Sales Manager from ICC China, one of the company subsidiaries. The Speaker, Dr KuoWei-Ssu had his PhD in Animal Science from University of Nebraska-Lincoln with 14 years of experience in Animal Nutrition Industry. 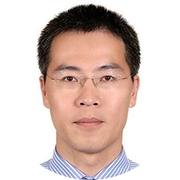 Dr KuoWei-Ssu will be speaking in a the lecture titled “A Comprehensive Approach to Immune Modulation in Poultry & Swine Nutrition” and showing the approaches of the different Immune System mechanisms and additives capable of modulation and more specifically the ImmunoWall® from ICC Brazil. ImmunoWall® is well known not only in the Vietnamese Market but also in markets overseas due to its high quality consistency and Beta Glucan 1,3-1,6 levels, being an as being an efficient & natural prebiotic. He The Speaker will also be sharing some relevant data from trials conducted in Brazil, United States, Taiwan &the Philippines showing ImmunoWall® performance while in fighting with local diseases and replacing growth promoters in Poultry and Swine nutrition.